The Port of Durban, operated by Transnet National Ports Authority (TNPA), has scooped the prestigious title of Africa’s Leading Cruise Port 2018. The Port of Durban emerged victorious in the World Travel Awards 2018 against other finalists including Kenya’s Port of Mombasa and Tanzania’s Ports of Dar Es Salaam and Zanzibar. Founded in 1993, the World Travel Awards seek to acknowledge, reward and celebrate excellence across all sectors of the global travel and tourism industry. 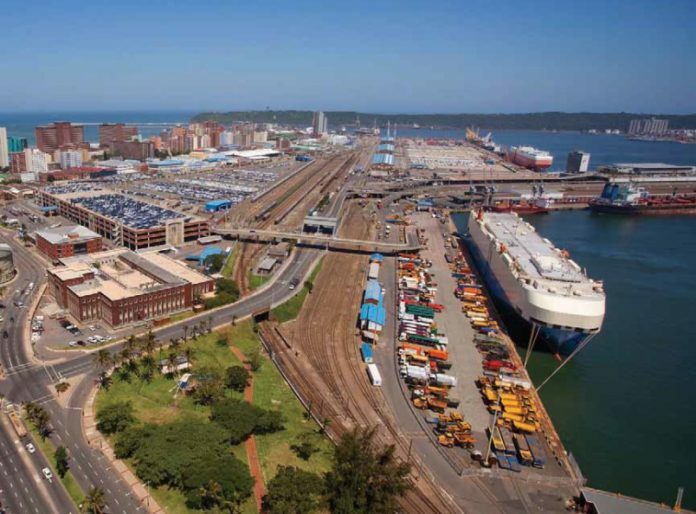 Speaking at the Africa and Indian Ocean gala awards ceremony held at Inkosi Albert Luthuli International Convention Centre over the weekend, Acting Durban Port Manager Nokuzola Nkowane said Durban is already well entrenched as one of the busiest ports in Africa from a cargo perspective. “Accolades like this demonstrate how versatile we are and most importantly show that the work we are doing to develop our cruise tourism sector has not gone unnoticed globally,” said Nkowane. Nkowane said improving Durban’s global status as an attractive cruise destination would bring more international cruise lines and passengers to their shores, creating a big economic boost for the city of Durban and South Africa as a whole. “Having upgraded the existing cruise terminal over the past years to enhance the passenger experience, we are now looking forward to satisfying the growing demand by passengers to cruise from Durban through the new cruise terminal, which is to be developed for operation by the 2020/21 cruise season. “Durban is definitely deserving of this award and remains attractive due to its pleasant climate and beaches, cultural diversity, close proximity to the two world heritage sites, shore excursions, land programmes and promotion of wildlife experiences at nearby luxury game lodges,” Nkowane said. Nkowane also congratulated other strong nominees in the category, including two ports operated by TNPA, Cape Town and Port Elizabeth. The annual increases in the number of visitors and liners have afforded TNPA and the country at large positive socio-economic spin-offs such as job creation, tourism, skills and supplier development. In 2017, a total of 185 390 embarking and disembarking passengers were processed through the Port of Durban during 56 vessel calls. This represents a 173% increase in passenger numbers at the port over the last 10 years, from only 67 892 passengers and 39 vessel calls in 2007. South Africa has welcomed more than 20 luxury cruise ships operated by 17 international cruise lines to its six cruise ports during the 2017/18 cruise season. Through port concessions, TNPA is also making it possible for private operators to use their expertise to ensure that South Africa earns its slice of the global luxury cruise sector, which is one of the fastest growing segments in the tourism industry. Hospitality winners included Hilton Hotels & Resorts (Africa’s Leading Hotel Brand), Saxon Hotel, Villas & Spa (Africa’s Leading Boutique Hotel), Hilton Durban (South Africa’s Leading Business Hotel) and Legend Golf Resort & Spa, South Africa (Africa’s Leading Sports Resort).